Notice that here l0 = m0 = 1 due to the L and M being relatively prime. 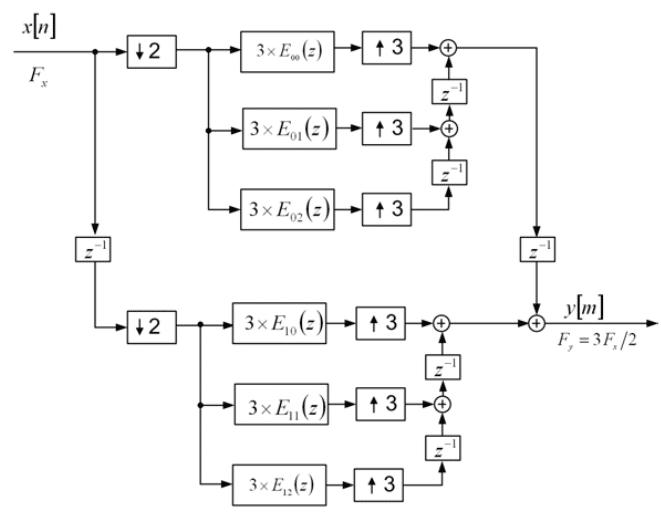 All filtering operations take place at half of the input sample rate, and one third of the output sample rate. 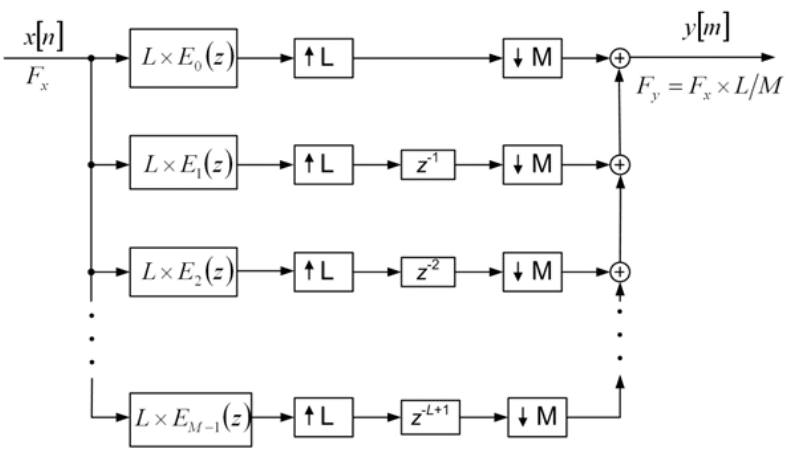 Therefore, this shows that in addition to having short filter lengths, this approach reduces the operational sample rate thereby providing even more computational efficiency over the original polyphase structure. It is straightforward to derive the dual structure of the above structure for the sampling rate of . Due to the stringent restrictions on the originally designed filter H(z), this method is not suitable for fractional rates with large conversion factors such as the conversion from 11.025 kHz to 8 kHz, which requires . For such scenarios, it is best to use an arbitrary sample rate converter, such as the well known Farrow filter.